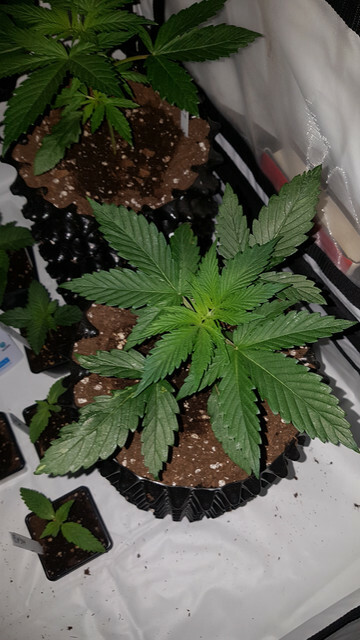 well the other 2 didnt pop, 4 out of 6 for old seeds im happy with. 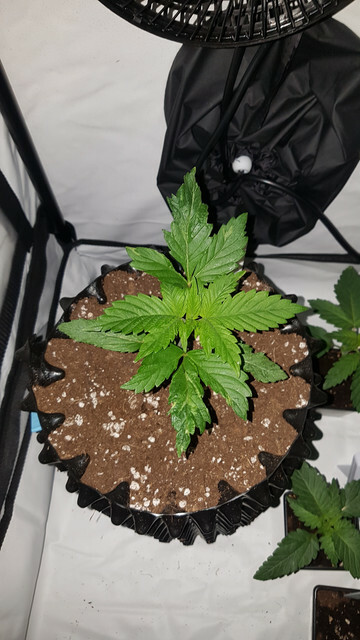 1 took a few more days to pop up . 2 will be 3 weeks old tuesday, 1 a day behind and 1 a few more days behind. have repotted into airpots what i think are 9 ltr but could be 6 ltr. 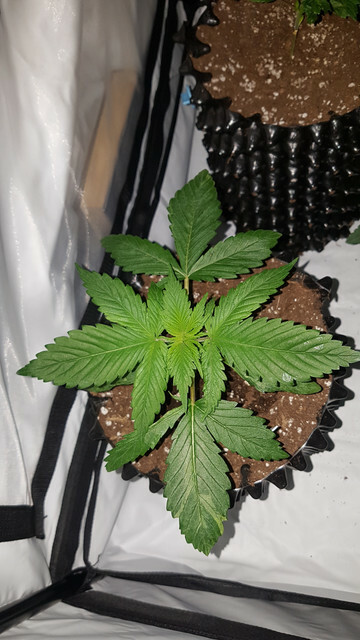 they are just under a 125 watt grow cfl along with a few other seedlings. have repotted into bio bizz all mix with 2 small bio tabs in the pot. il post so pics later on. 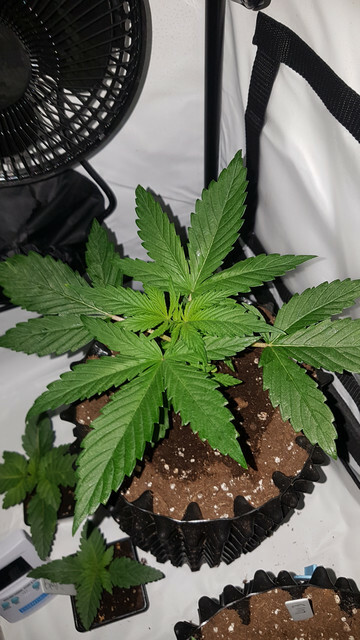 so far 3 have nice big leafs and the youngest 1 was a bit twisted. pics from today . they are now under a 600w led but ive only got the veg switch on. still learning with led so going be few days to find the right height. plants got a foiler spray of plant magic evolution yesterday thats what the residue narks are on them. hopefully i get at least 1 female. the smaller was the one with twisted growth. How has no one jumped in? Front row seat for this guy. While heavy BLDs are not my style... Those LUI would be well worth the wait. I hope you reproduce the variety and keep it around. Looks to be a few seats left in the front row - I’ll claim mine now. Thanks. Subbed, great germ rate for 15 years old seeds. I loved LUI too, good line despite a little hermie prone if stressed. I had mine via Red from Legend. I found a cpl of hermi prone plants out of my lui about 10 yrs ago also. Hope you find some real nice plants out of them mate. Ask the Humming bird about the significance of the flowers. what would a Vulture know about their﻿ significance who feeds on the dead.. If wisdom were offered me on the one condition that I should keep it shut away and not divulge it to anyone, I should reject it. There is no enjoying the possession of anything valuable unless one has someone to share it with.